Perhaps a little background information on this would be good for a lot of us who do not know what this issue is about. I guess it has. People seem to no longer work out their differences in private but instantly go public with the smallest (perceived or real) problems.To me it also seems that people are getting ever less ready to talk like adult human beings and more apt to start lashing out and screaming murder for the smallest differences of opinion. Congradulations, everyone shake hands, pat themselves on the back, tell themselves you did a good job.....at BLOWING one of the best resources in flightsimming! If you really want to enjoy this resource as it is now and in future, start thinking about things beyond the monitor your looking at right now. Bickering and malice like this is what killed Project Freeware a few years back and you can't say you didn't feel the effects of that.....somebody always wants something for nothing. Just my 2 cents. I will really miss Mike and his huge contribution to the community. I also like AVSIM an awful lot and have made it my online home in the FS2002 world.The internet/e-mail seems to make it much easier for misunderstandings to crop up. I see it everywhere I go online.I hope everyone finds a way to make this amicable again. "When a friend offered to provide me a web site, design the pages, and maintain it for me, I jumped at the chance to relieve myself of some workload so I could concentrate more on my aircraft designs. Especially since some have complained recently that I've been slow to update my site. 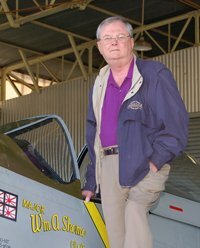 "Like many others, I don't know all of the facts, but for the life of me I can't figure out why the above would cause a problem, especially the statement, "I jumped at the chance to relieve myself of some workload so I could concentrate more on my aircraft designs. "Doesn't *everyone* benefit from that? We obviously do not know exactly what was communicated in private (nor is it our business to know, really... unless the parties themselves wish to share the information), but on the surface, this seems to me to be a classic case of miscommunication.I could be wrong, but considering the parties involved, I can't really see it being anything else.